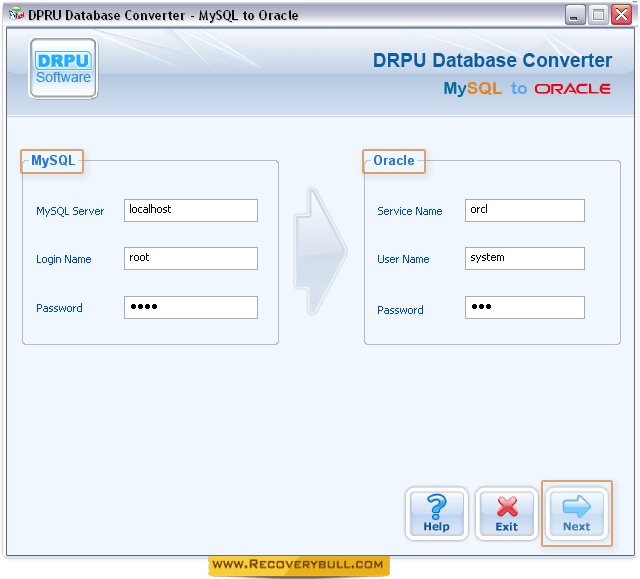 Enter required fields to establish connection between MySQL and Oracle server. 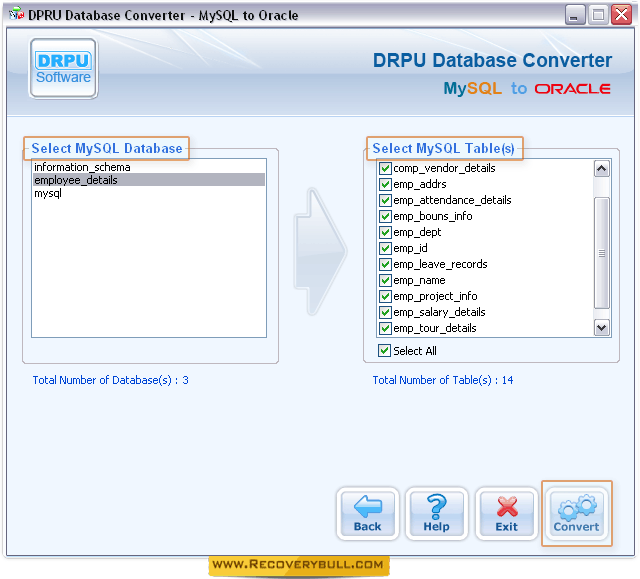 Select MySQL Table(s) and then Click 'Convert' button. 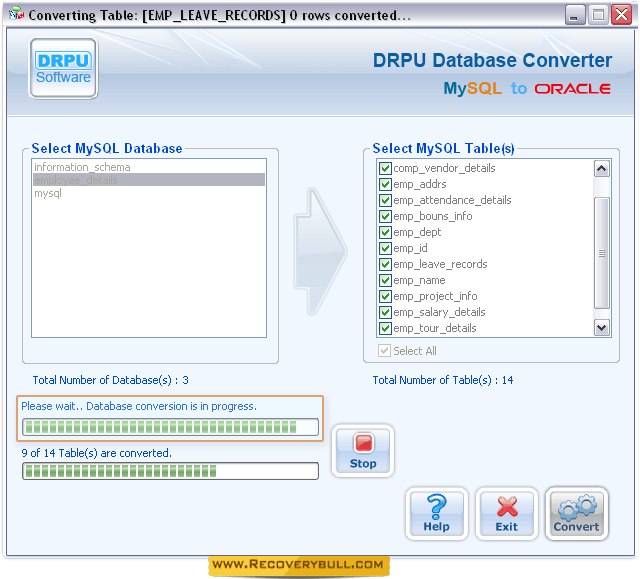 Database conversion process is going on. You can also stop ongoing conversion process by clicking on 'Stop' button.